Hypercalcemia is a condition where the body cannot regulate excess calcium levels in the blood. The symptoms include thirst, frequent urination, confusion and other cognition problems, weakness and fatigue, reduced appetite, vomiting and nausea, irregular heartbeat, cardiac arrest, and coma. The breaking down of bone mets can result in excess blood calcium and a diagnosis of hypercalcemia. This is what happened to me. Paclitaxil worked well on my brain. It also worked too well on my bone mets. My blood work was always checked before chemo. Once the bone mets started breaking down my calcium levels rose quickly. I felt nothing. I didn’t even know I had vomited or urinated. I was just out of my mind. Watch those calcium levels! My husband found me in the bed laying in vomit and urine. I was purple, limp and completely unaware of what was going on. He called my mama and 911. I was taken to the hospital in an ambulance and wouldn’t have made it there alive any other way. I had no cognitive thinking, I honestly thought I had been kidnapped. When I recovered and looked at my phone. I had sent text messages to friends saying I was kidnapped and to get my son to help me. I cussed out and fired doctors. I was mean! If you know me, you know I’m not that way. My sister from North Dakota, my cousin, Teressa, and my grandbabies came to visit me in the hospital. I didn’t even remember that. I saw their pictures and still don’t remember them being at the hospital. I was as close to death as I’ve ever been. Things can change so quickly! Speaking of changes, this is what’s going on now….. I have leptomeningeal metastases. It occurs when breast cancer spreads to the meninges, which are layers of tissue that cover the brain and the spinal cord. Intrathecal chemotherapy is an option. It’s delivered directly into the cerebrospinal fluid through an Ommaya reservoir, which is like a port inserted in the head, under the scalp. Sounds a little scary! There are a lot of new accessories in my house and they are not pretty ones! I now have a bedside toilet, a raised seat on my bathroom toilet, a rolliator (my fav!) a wheelchair and a bath bench is now in my bathtub. My legs and my arms are so weak! It’s hard to walk and hard to pull myself up. I almost fell into my bathtub when I tried to get off the bathroom toilet alone. My mama caught me. The raised toilet seat is a blessing. My physical therapist found it and brought it to me as a early birthday gift. That brings me to where I am today. They talked about home health care and hospice. I chose to have home health care and physical therapy. They both come by twice a week. The nurse checks my vitals, they are looking better. My physical therapist has me doing exercises. I think it’s making my legs stronger. I will see my oncologist in 6 weeks and we will see what’s next. 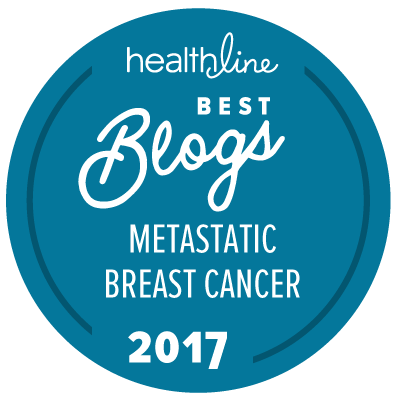 I’ve lived with metastatic breast cancer for almost 6 years. I was initially told I would live close to a year. God has been good to me. I have been blessed with grandbabies and a million new memories. My prayer has always been to see my son graduate from high school. He has 2 more years. This is still my prayer. I love you all so very much! Thank you for all your love and prayers! October is breast cancer awareness month. Know when you make a donation it’s actually making a difference. 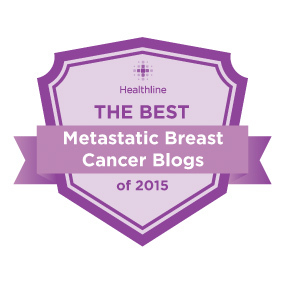 METAvivor uses every dollar raised to fund metastatic breast cancer research. Know where your money is going and who’s pockets it’s filling. Give to METAvivor. 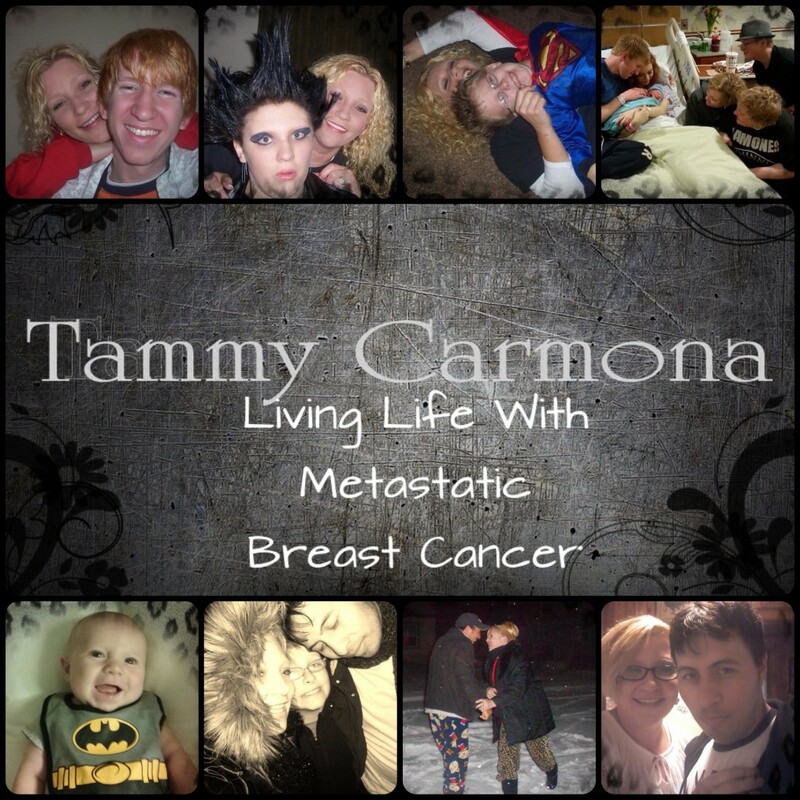 Support Metastatic Breast Cancer Research.